The versatility and usability of a station wagon make them a great choice for individuals needed a bit of extra room. 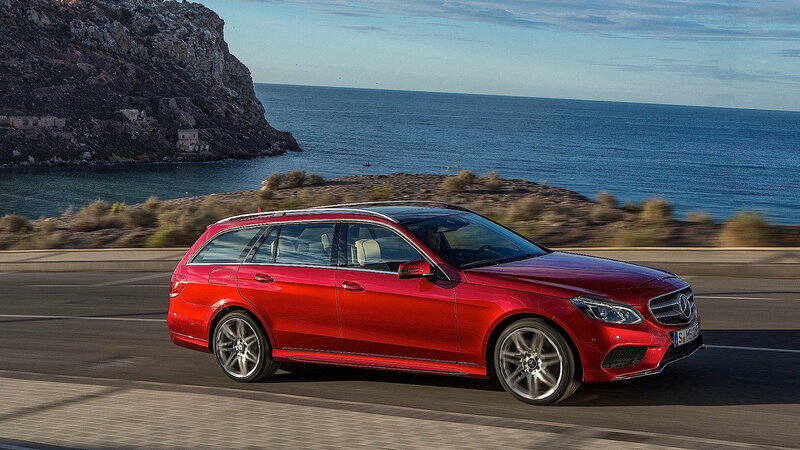 Mercedes realized the value and potential of a quality wagon and has produced some pretty good ones over the years. 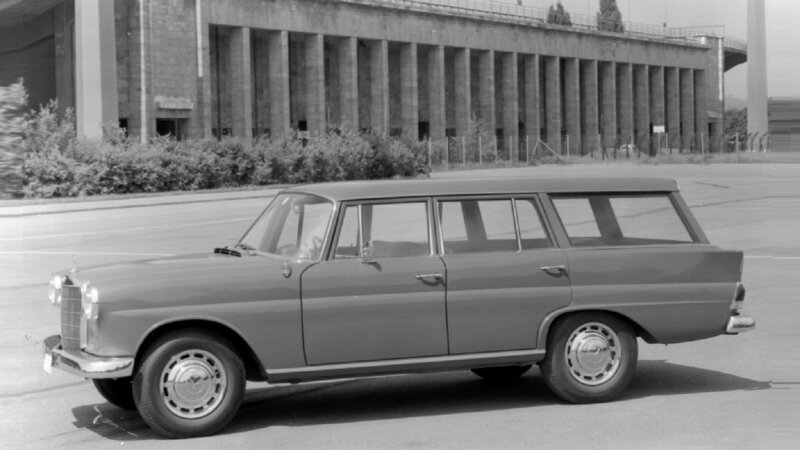 The first station wagon to make an appearance in the Mercedes model lineup was the 190 Dc Universal DI. Although Mercedes had produced special purpose wagons for use as ambulances since 1961, 1965 was the first time they were offered to the public. Built on the classic Fintail Mercedes W110 platform, the 190 Dc Universal was fitted with a mechanically-injected 1988cc inline four-cylinder diesel engine that was good for 55 horsepower. While the 190 Dc would give way to the slightly revised 200 D Universal for 1966, it gave Mercedes a new outlet to focus on an economical, spacious, and comfortable style of vehicle. 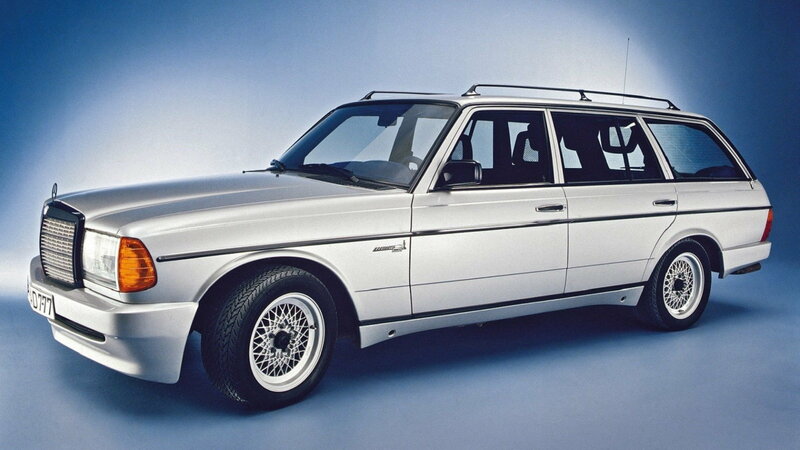 >>Join the conversation on Great Mercedes Station Wagons here in MBWorld. For the 1978 model year, Mercedes added a third body style to their 123 Series lineup with the "T" Wagon variants. Besides using an extended cabin in place of a rear trunk, there were no major style nor mechanical differences between the T Wagon and the sedans upon which they were based. The wagon body style was a huge hit and was offered with various diesel or gasoline power plants. The earliest and smallest 240 TD 4-cylinder diesel made a reliable 72 horsepower while the later inline-6 gas-powered 280 TE made a healthy 177 ponies. Besides changes in engine configurations over the years, a notable addition to all cars in 1980 was the introduction of power-steering as standard. Nearly 200,000 T Wagons were sold during their nine-year production run and are still considered a reliable and sought after Mercedes model to own. The successor to the 123 series wagon was the W124-based E-Class Wagon that many enthusiasts claim to be the best platform that has rolled off of the Mercedes assembly line in the past 30 years. The S124 wagons were much like the 123 cars in that they were basically the same as the sedan versions, but with a spacious cabin out back. The first year of the second generation wagon was sold in 1985, but facelifted models appeared in 1989 and again in 1993. The 1993-1996 cars saw the most improvement as they were a culmination of both body styling and engine development. The most notable changes were the use of four-valve technology in the naturally-aspirated diesel models, an integrated radiator grille, clear indicator housings, body-colored bumpers, and more appealing 6-hole hubcaps for steel wheels. The AMG performance department even got a hold of a few wagons and stuffed a 260 horsepower 3.6L straight six in them along with body enhancements and 17-inch allow wheels to create the E 36 AMG Station Wagon. 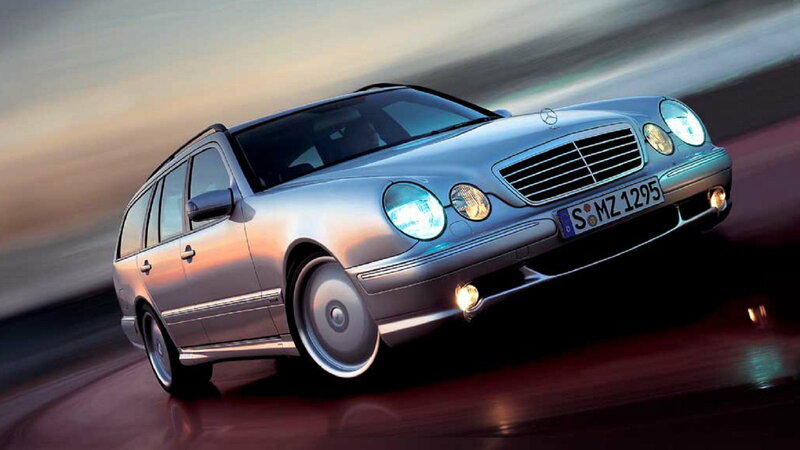 1996 saw Mercedes introduce the C-Class Wagon built on the slightly smaller and more economical W202 platform. Refocusing their efforts on what an estate wagon should be, safety, comfort, economics, and environmental compatibility were made top priorities. In regards to safety, Mercedes designed triple-layered pillars and high strength cross members along with impact-absorbent seats and 3-point seat belts for rear passengers to create one of the safest vehicles in the model lineup. The S202 also featured a class-leading 53 cubic-feet (1510 liters) of cargo space. Engines in these cars were also becoming more advanced and environmentally-friendly with their variable camshaft timing and Bosch Motronic fuel injection systems. The model range would see a facelift in 1998 with larger V6 engine options and visual enhancements that helped C-Class sales climb to nearly a quarter of a million units in only 5 years time. These were great economical cars that were fun to drive and very usable on a day-to-day basis, which is evident by the entry-level C180 being the top seller of the lineup with over 69,000 cars sold. 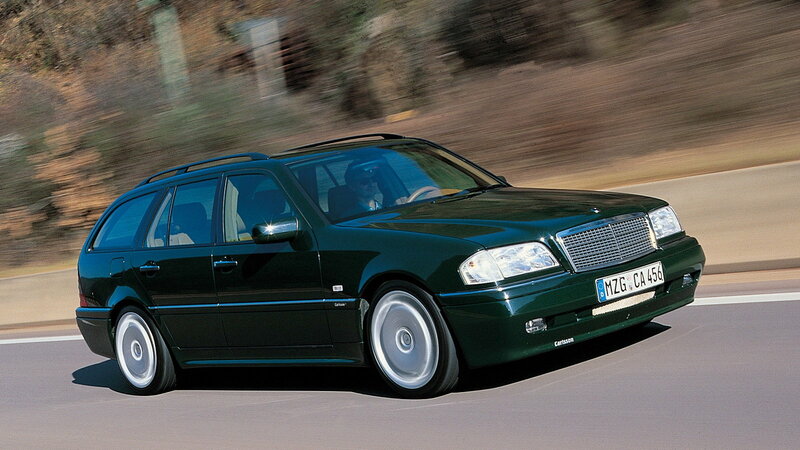 Released alongside the S202 in 1996 was the larger and more expensive S210 E-Class wagon. Unlike earlier wagons that were produced, the S210 began to differentiate itself from the sedans by increasing cabin space to create a more spacious interior with additional seating room and cargo area. The E-Class of this era was the best selling luxury car with one million units sold during its first four years, but the cars were further enhanced in 1999 with over 1800 new and redesigned components. Diesel engines now featured direct-injection and variable vane turbochargers and both diesel and gas engines benefited from new multi-cone synchronized transmission cogs that reduced the shifting force by 25 percent. Window curtain airbags, ventilated seats, on-board navigation, and a multi-function steering wheel are only a few examples of the sophisticated tech used at the time. 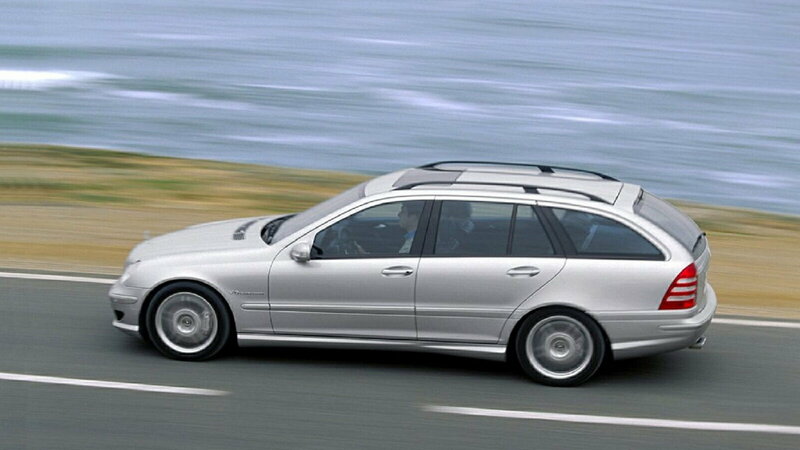 The S210 from 1999-2001 was the best ever selling wagon at the time with nearly 40 percent of estate wagon sales going to first-time Mercedes buyers. 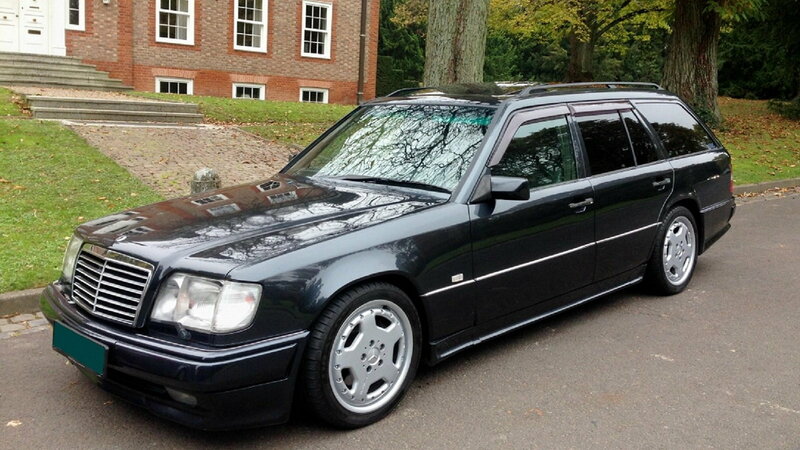 Four years after the launch of the W203 platform, Mercedes gave the S203 Wagon the go ahead, and while it did not sell as many units as the larger S211 E-Class Wagons, it proved to be a popular successor to the first-generation C-Class estate models. Taking styling cues from the W220 S-Class, the S203 wagon was given a sporty look with a sharp, sloping nose and masculine lower air intake and radiator grille. On the chassis side of things, Mercedes widened the track, reduced the steering ratio, and redesigned the suspension for improved driving dynamics. Bi-xenon headlights became standard equipment and many of the interior design features carried over from the pricier S211 model. Cars were offered with various diesel and gasoline engines options, including the supercharged "Kompressor" engines that combined the fuel-savings of a smaller-displacement engine with the performance of a larger one. Mercedes also sold a hopped-up wagon in the C 55 AMG that featured the 370 horsepower V8 motor coupled with a Speedshift 5-speed automatic transmission, sport suspension, 18-inch wheels, and various body enhancements. Mercedes kept pushing forward with the E-Class wagons from the late 1990's through the first decade of the 21st century, but many feel the bulletproof reliability and top-notch quality that Mercedes was known for finally made a return with the S212 E-Class wagon. The focus for the new S212 was the refinement of both comfort and usability to provide owners with one car that could do it all. Tons of safety features were packed into the S212 such as collision, attention, braking, active lane keeping, junction, and blind spot assists as well as an adaptive lighting system. Cargo space was up to a whopping 69 cubic feet and included a powered tailgate for loading heavy items as well as auto-leveling air suspension to cope with the increased load capacity. The interior was standard E-Class kit, and by combining the available adaptive seats with the active suspension system, made for a nice, cushy ride. For those looking for the most economical S212, the E 250 BlueTec diesel was capable of achieving a 34 mpg combined rating. Individuals wanting to improve performance or drivability could opt for one of the larger gasoline engines and the no-cost Sport Package. Those seeking the ultimate wagon will want to look at the E 63 AMG with its 5.5L twin-turbo V8 making 550 tire-smoking horsepower.